Discussion in 'Grappling Technique' started by Jonas g33k, May 11, 2014. Surprised to see that the science guy is also a wrestling enthousiaste. Neil is my hero. The dude apparently won a ballroom dance championship too. Great video. Ankle pic was his move...Nice. He wanted to create a move called "The Tidal Lock" The way in which the moon always faces us in one direction. Cool. He used to be a wrestler in college. Undefeated, apparently. Oh there will be someone. 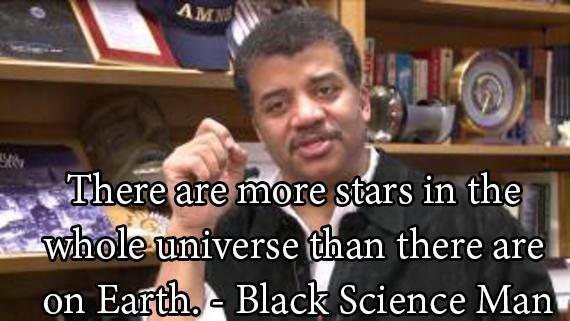 Dr. Tyson is GOAT in his Prime. Wow, didn't know. He was on Rogan's podcast, but I don't remember this coming up. He's like 6'4", ex-wreslter, athletic and explosive, A-level brain. HW champ with 6 months training. LOL, I just looked this up. You must be a creationist. I have a serious man crush on this dude. I get to see him speak live next Monday in Dallas. He does expose creationists and climate change deniers. I am guessing that's where the "shill" comment comes from.